I apologize for not posting yesterday. I was tired from college, exams, etc., I was completely exhausted. Anyways, there quite some interesting transfer news, rumors, gossip and speculation surrounding the Gunners. Without further ado, here is the Arsenal Transfer News Roundup. A very, very interesting and fascinating piece of news. Reports are filtering around stating that the Gunners along with other top clubs all over Europe, are interested in signing Barcelona star and Spain international, Pedro Rodriguez. The report states that Pedro's future as a Barcelona player is in doubt, due to the club's ongoing pursuit of Udinese's Alexis Sanchez. Pedro would be a quality signing for the Gunners, but this is absolutely far-fetched and rumor, and highly unlikely to ever happen. Pedro is highly regarded by Barca and by his manager, Pep Guardiola and I highly doubt he'll be leaving anytime soon. Besides, the only possible way we can acquire or get anywhere near Pedro, is if we offered a certain Cesc Fabregas in exchange. Another interesting piece of news, a report by Caught Offside, states that the Gunners are preparing a record bid to sign Anderlecht and Belgian international starlet, Romelu Lukaku. Lukaku, looks to be on his way out this season and is interesting many European clubs, including Chelsea and Real Madrid. Lukaku, has all the qualities to be a huge star, especially in the Premier League where has the physique and ability to take the league by storm. Though, I doubt he'll be displaying it with the Gunners, he's likely to join Chelsea next season, so again another far-fetched rumor. This piece of news comes via a fellow Arsenal blog, the Gunnerblog. The blog reports that an unnamed Turkish club offered 10 million pounds to acquire the services of the French international. I honestly would've accepted the offer, especially as Diaby is mainly a squad player, who's inconsistent and injury-prone, so that's a pretty good offer in my opinion. It looks though, Wenger wants to keep him as back-up, especially if Denilson leaves. What do you think? 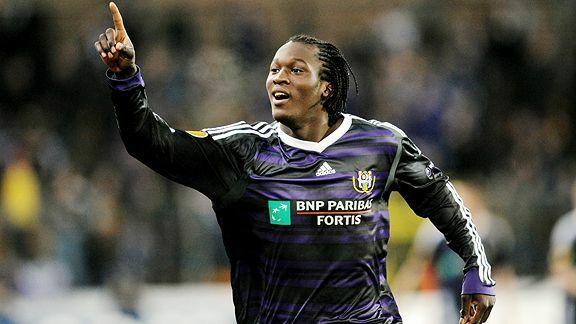 Should Wenger go for Lukaku? 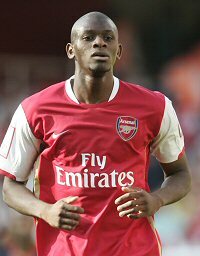 Would you have accepted the offer proposed for Diaby?